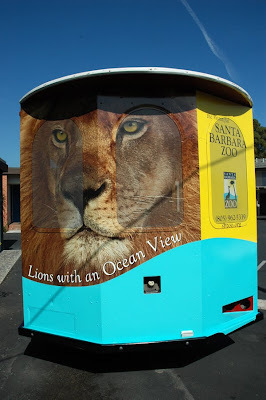 For this project we printed graphics on Controltac and perforated vinyl, and installed the prints onto the back of the Santa Barbara Trolley. The perforated vinyl allows the driver and passengers to easily see outside from inside the vehicle, while it looks like an image from the outside. Nice!